This year’s Open Collaboration for East Asian Networks or OCEAN Summit, held last November 9 and 10 in Cebu, put the spotlight on the “indiepreneurs” or independent entrepreneurs that have potential to greatly impact the country. 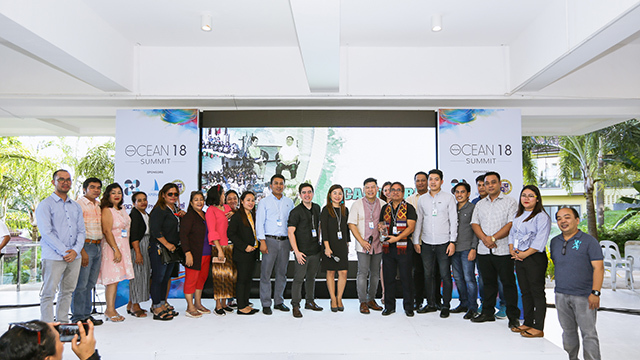 One of the summit’s highlights was the Indiepreneur Awards, where the OCEAN team recognized six micro, small and medium enterprises (MSMEs) that are poised to disrupt high-impact sectors in the country, including creative economy, education, food, global Filipino engagement, healthcare and tourism. But the awards also featured a seventh winner, though he isn’t an indiepreneur per se. Rather, his 32-year-old company has helped many poor Filipinos get on their feet and eventually establish their own businesses. “Dr. 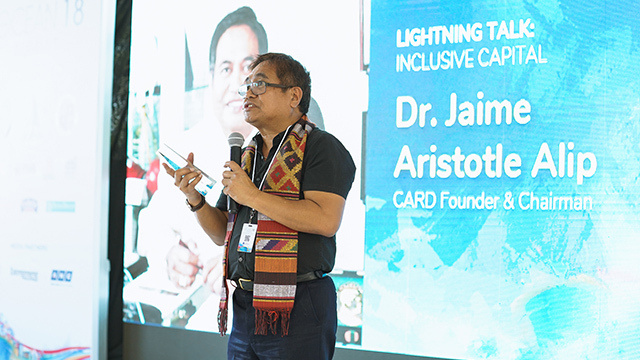 Jaime Aristotle Alip, founder and chairman of CARD MRI, was also awarded this year’s Elevating Homegrown Innovation Award for [his] commitment to eradicating poverty through the microfinance industry,” wrote OCEAN in a statement. Indeed, CARD MRI, short for Mutually Reinforcing Institutions, has provided financial services to over six million families in the country, majority of whom belong to the lowest socioeconomic classes. Those families have access to microloans, microinsurance, microsavings and a suite of other products and services dedicated to uplifting their lives financially. And it’s a sizeable business—as of September 2018, CARD MRI’s outstanding loans amounted to Php24 billion and insurance premiums totaled Php6.6 billion. Most financial institutions prefer having big-name clients so that they can guarantee repayments in loans, premiums and other services. But when Alip founded CARD in 1986, he had always put the focus of his services to the poor. Indeed, Alip believes that since no financial institution is servicing the low-income bracket, CARD MRI’s products are meeting an otherwise unmet need. That compels its clients to work hard in repaying their loans. And it’s proven to be a successful strategy for CARD MRI, as its repayment rate stood at 99.63 percent as of September 2018. Alip also links the high repayment rate to the fact that almost all of CARD MRI’s borrowers are women. He believes that women’s purposes for borrowing money directly benefit their families, as opposed to men’s tendency to flaunt their wealth in social situations. Women are central to CARD MRI’s mission to the point that the company calls its clients nanays, titas and ates, according to Alip. And it’s in helping these women that CARD MRI is able to help six million poor families. “If you really want to help the family, we go first to the women, because they have that consciousness to bring about development to the family,” said Alip. While CARD MRI offers a variety of microfinance products, Alip takes pride in the services beyond loans, savings and insurance that they provide to these poor families. An example is how they help their nanays and other clients use their loans to start a business and eventually grow and develop it. This help comes in the form of trainings and educational seminars that teach basic concepts on how to start and run a business. Alip also hopes to establish an e-commerce platform for its clients where they can sell their food products online. This holistic approach allows CARD MRI to help its clients beyond microfinance. And for Alip, it zeroes in on the company’s central mission of uplifting the livelihood of the country’s poorest communities.